You might be aware of Srixon for making some quality golf balls, but I bet you didn’t know they also make a quality variety of golf clubs too. Usually the more popular ones today are Titleist, Taylormade, Callaway and Ping, to name a few. Just because you didn’t know Srixon made irons, doesn’t mean they don’t make some of the best overall irons in the industry.In this post, I’ll be reviewing the Srixon Z 565 irons, which made golf digest’s 2017 hot list for game improvement irons. The Z565 irons combine hot flight and incredible feel in a slightly larger, more forgiving cavity-back profile. The Z 565 are aimed for players of all abilities with the forged cavity back promoting maximum distance and forgiveness.The Z series irons and utility clubs are forged from the highest quality and soft 1020 carbon steel. 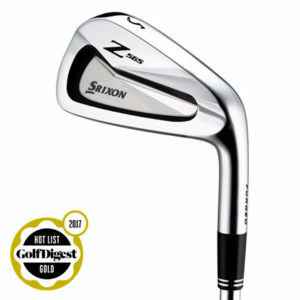 With a lower carbon content compared to many competitors as mentioned above, the Z iron heads are high-strength while also very responsive at impact. Srixon has combined the ultra-soft S20C head material with a high-strength SUP10 face insert that gives higher ball speed and more distance. The same Tour V.T sole and Double Laser Milled grooves ensure that the Z 565 irons offer the same excellent level of playability and control found in the Z 765 and Z 965 irons.The Z 565 irons are geared for golfers of all abilities and feature a new Tour V.T sole that allows the club head to move even more efficiently through the turf, reducing impact resistance and tightening shot dispersion for more overall control. Compared to the previous model, 5% larger grooves feature in the Z 565 irons as well as Double Laser Milling for better contact, especially in wet conditions. The first time I hit the Z 565 irons from Srixon, I was dumbfounded that I never knew about their clubs before. When you are standing over your ball, you see a beautiful, eye catching blade look, but still comes with the muscle behind it. When you strike your ball, in some cases you can actually feel your ball compress which reminds you of that responsive metal they used in making these clubs. The Z 565 is where you noticed the better feel most over the previous Z 45 irons as it felt a lot softer. 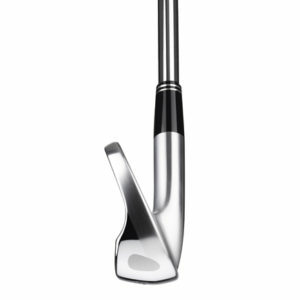 The longer irons launch it on a nice high penetrating flight and even with the bigger cavity they still sounded like a solid forged iron. The face on the shorter irons might have a little more of a jumpy feel for the lower handicap players, but most will find them with a nice balance of forgiveness and distance that they are looking for. If that is the case, there is no problem going from 4 iron to 8 iron, then maybe swapping the 9 and pitching wedge from the 765 series, which are the same lofts in both sets. This is not uncommon for players to experiment with those closer shots where you really have to dial in your distance, step up, and stick to your swing for that distance.The accuracy with these clubs spare direction over distance, a small window from side to side, plenty of support on thin shots, your stronger ball strikers will make the long irons work to their advantage. The powerful, beveled sole is no joke, it eliminates the digging, or sliding through sand and thick rough, while being perfectly maneuverable with all other shot types.Srixon Z565 irons are one of the sharpest and strongest in its class. 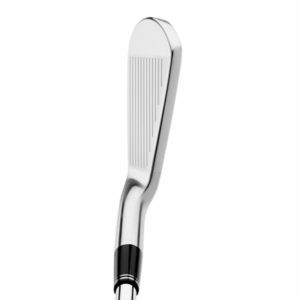 They really did an amazing job creating the perfect balance of a game-improvement iron that behaves like a genuine blade, with excellent feel and workability. SMOOTHER TURF PERFORMANCE – The new Tour V.T. Sole has been modified to move even more efficiently through the turf, reducing impact resistance and tightening shot dispersion for maximum consistency and control.UNSURPASSED FEEL WITH DISTANCE – Featuring a 1020 carbon steel body, new Z 565 irons are precision forged for the smoothest, most consistent feel. These irons feature a high-strength SUP10 face insert for higher ball speed and more distance.MORE SPIN CONTROL – All iron faces feature 5 percent larger grooves compared to the previous generation and Double Laser Milling. This improves contact, especially in wet conditions, for consistent spin and control.